The self-powered C846i is designed to accommodate a variety of users. It is built with a durable Poly-V belt and a low-maintenance magnetic generator system which provide consistent resistance for its users during a workout. It has larger platform pedals and a ratcheting seat system that offers easy and quick adjustments for its cyclers. The C846i features 12 preprogrammed workouts with 25 levels or resistance. 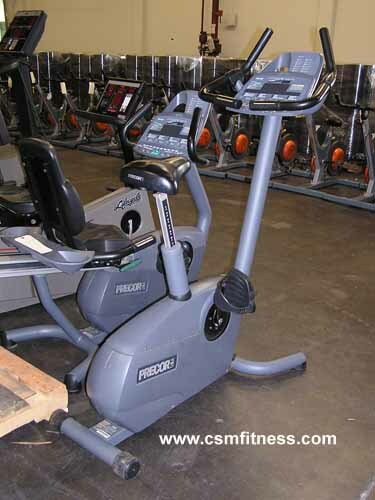 Additionally, Precor incorporated a double step-up drive which offer users a smooth and quiet every time.